It’s International Translation Day. Would you consider dressing up to celebrate just for today? Learn more about the ‘Ultimate Guide to Becoming a Freelance Translator‘, a free resource published by The Translation Company Group LLC, a leading provider of legal document translation services in the US and abroad. 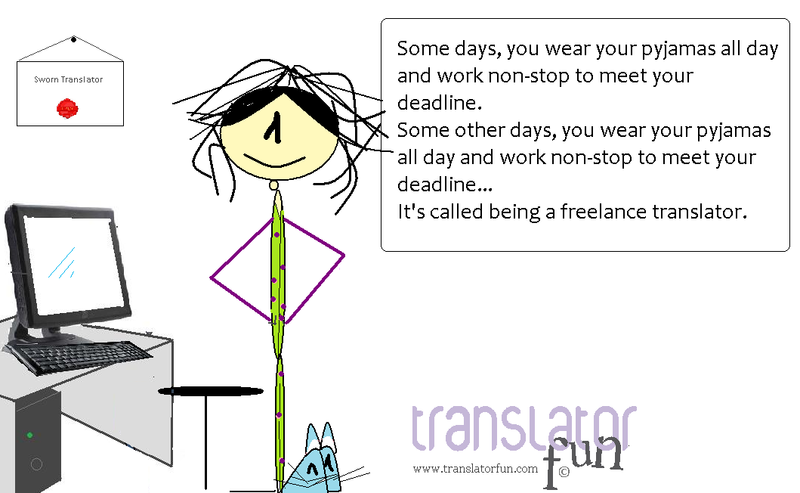 This entry was posted in Freelance translator, lifestyle, Translation and tagged freelance translator, Happy International Translation Day, International Translation Day, translation, translator by Romina Bona. Bookmark the permalink. Happy International Translator”s Day!!! I adore my job! As a translator, I’m in appropriate celebratory attire. It’s a pajama party.